Fastest experience ever buying a new car. 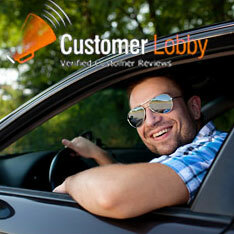 Joe was exceptional as a salesman providing the most unbelievable service ever. Went above and beyond to help me find the vehicle I wanted. Answered questions and concerns with knowledge and expertise. Love my new Ram!!! Chris, Greg, and Tony were great to work with. They helped me find a great car that fits my budget. I have bought 4 cars from Billion Auto Group because they are fair and they’re always there to help you out. Matt did an exceptional job in all aspects of getting me the exact vehicle I wanted, he actually listened to my criteria. I could not be happier with the purchase. Matt was very accommodating. Hayden and Nissan Team are Awesome! Keep doing what you are doing. Your service department team are very prompt and courteous in answering any questions or concerns--Deeply Appreciated! Kevin has been especially helpful he takes care of small problems before they become Major! Also took care of warranty repair to my sunroof. Great Job! “Matt was exceptional to work. Started out with E-Mail, and drove 4 hours to meet with him. He is very thorough, yet personable. Took the time to explain everything. Very helpful on our options in our vehicle. Finance lady, can't remember her name was great. Seemed like a nice group of people." This new location is beautiful, with a friendly sales staff. The salesperson that I talked to was very knowledgeable about the product. He knew the answers to all my questions. This is the best car dealership in Bozeman hands down. Thanks guys!